The ASTROLab is an astronomy activity centre devoted to making science accessible. Here in a place where it's totally natural for astronomy, geology, biology and ecology to rub shoulders. You'll discover the most fascinating history, that of the Universe, the Earth and life. 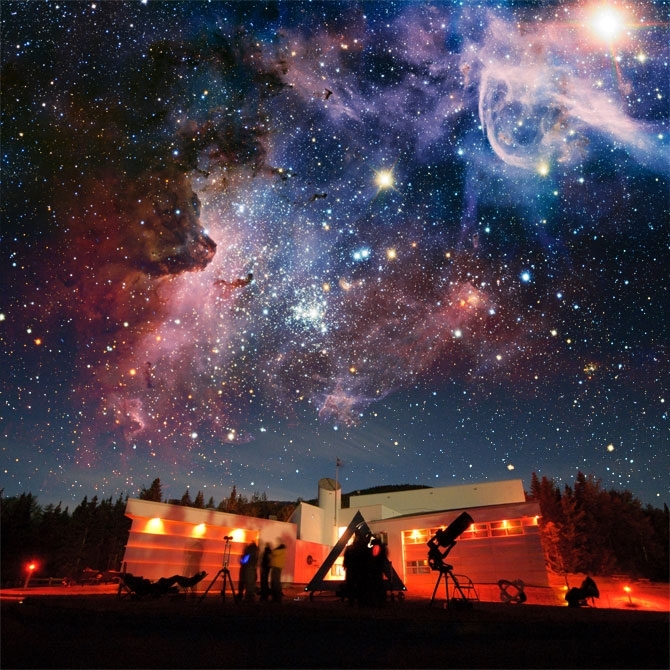 A wide variety of activities allow you to travel the stars – guided daytime tours of ASTROLab and the Mount Megantic Observatory, astronomy evenings at the ASTROLab and at the Mount Megantic Popular Observatory, the Popular Astronomy Festival, and the Perseid Festival are just a few of the discovery activities available in this fascinating world at the heart of the International Dark Sky Reserve.